While there was once a time when sirens and car horns were the worst offenders, mixed-use buildings now dominate headlines. Every year, approximately 30 million people in the United States are exposed to hazardous noise, which may result in temporary or permanent hearing loss, create physical and psychological stress, reduce productivity, interfere with communication and concentration, and contribute to workplace accidents and injuries by making it difficult to hear warning signals. As such, OSHA regulates workplace noise by requiring companies to limit the exposure of their workers to high noise levels to 90 decibels for an eight-hour exposure, with higher levels permitted for shorter periods of time, like nightclubs and concert halls. Beyond the obvious negative impact of noise on hearing, regular exposure to loud noise has been associated with cardiovascular problems, such as high blood pressure, and higher rates of hypertension and high cholesterol. More surprisingly, however, is that intrusive neighborhood noise is also associated with a higher risk of atrial fibrillation, an irregular heartbeat that can lead to blood clots and stroke. So how can residents and businesses peacefully coexist? 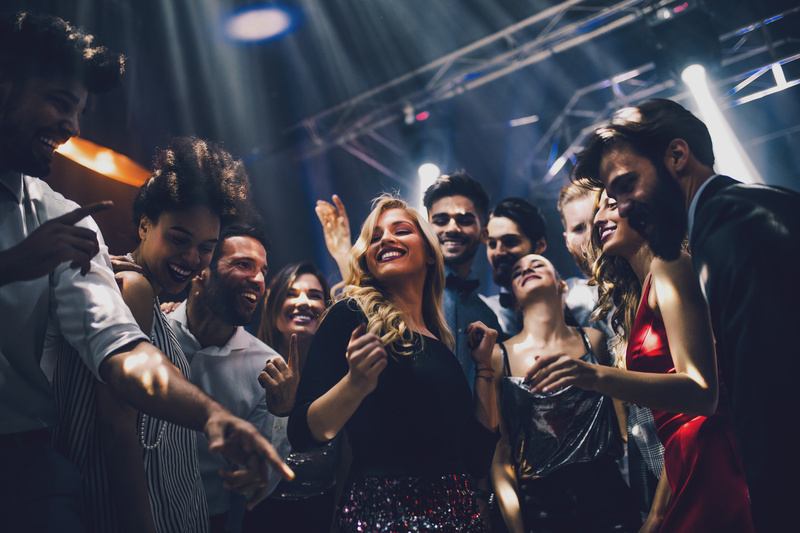 In venues such as bars and nightclubs, hard reflective surfaces – mirrors, windows, tile flooring, metal roofs and more – cause ambient noise levels to increase. Further, PA and sound systems elevate the ambient sound pressure to dangerous levels. One common solution is to strategically contain the high sound pressure levels to designated areas while reducing the ambient noise in service areas or sections of the nightclub designated for conversation and socializing. So surrounding a noise source with absorption materials such as acoustical panels – rather than soundproofing the entire area – can provide a workable, cost-effective solution. REVRB™ Acoustical Panels and Baffles are designed to minimize the amount of time a sound takes to stop echoing in an enclosed space and reduce the background noise to a more comfortable level. Each REVRB™ product is handmade and is completely customizable in size, shape, color, image, and design, allowing for seamless integration into any space and décor. At Sonic-Shield, our ability to manufacture panels into custom shapes and configurations with the highest quality and most acoustically effective materials available allows us to create a wide variety of sound reduction systems for any number of commercial and residential applications customized to suit each client’s unique needs. Contact us today to learn how! Previous articleShould Your Gym's New Year Resolution Be Soundproofing?